Join us this fall on the beautiful Lassen NF for a unique “hike into the past!” Our project will focus on locating and recording all of the petroglyphs within the Indian Well Petroglyph site. The Indian Well site encompasses not only an approximate 150, varied petroglyph types and construction styles, scattered about a boulder field of some 100 yards diameter, but also a habitation area, which sits upon a flat hilltop overlooking the field. The western boundary of the site is a rock escarpment that consists of a dilapidated rock wall alignment, as well as a few rock-ring features. Throughout the habitation area there is a dense lithic scatter, consisting of mostly obsidian and basalt. Within site area, prehistoric inhabitants created a well by removing rocks in order to reach the water level below. There are only about four locations throughout the entire Eagle Lake Ranger District where petroglyphs occur. Unfortunately, glyphs in a few of these localities have been lost due to natural taphonomic processes. At Indian Well, PIT volunteers and Forest staff will photograph, draw, and map the locations of each petroglyph to ensure that our records will capture the essence of this site for future generations to enjoy. The Eagle Lake area is full of recreational opportunities ranging from hiking trails, swimming and fishing in the lake, as well as boating and canoeing. Susanville is home to many different restaurants, two breweries, a casino, and various grocery stores. 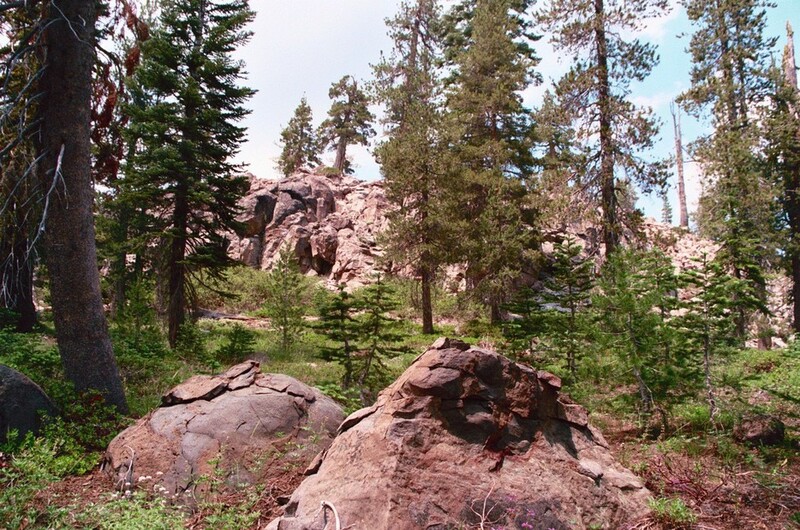 Access to hiking the Bizz Johnson Trail – an historic rail-road grade – is also available in Susanville. So, there are many things to see and do in your hours “off the clock:” come for the unique archaeological exploration; stay for the sites and fun! See you in September!